Spirotech-SRD is committed to providing a quality service tailor made to its customers needs, a service backed by the expertise and resources of top quality resources and industry accreditations. 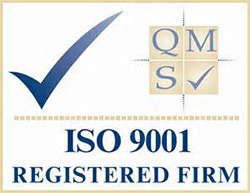 ISO 9001 quality management system helps to continually monitor and manage quality across all operations. As the world’s most widely recognized quality management standard it outlines consistent performance and service. ISO 14001 was developed to provide a management system to help organisations reduce their environmental impact. The standard provides the framework for organisations to demonstrate their commitment to the environment. British Standards Institution (BSI) is a multinational business services provider whose principal activity is the production of standards and the supply of standards-related services. Made in Britain is a consumer and business campaign promoting British manufacturing in the UK and abroad. By enabling customers to identify British made products, the Made in Britain marque supports & promotes British manufacturing in the UK and overseas. The American Society Of Mechanical Engineers (ASME) provides over 600 specific codes and standards for mechanical devices. The ASME Boiler and Pressure Vessel Code (BPVC) is the largest standard and provides the necessary rules for the design, fabrication and inspection of boilers and pressure vessels in the industry and is reviewed every 3 years. Spirotech SRD Group manufacture in accordance with Section VIII of the ASME BPVC Boiler and Pressure Vessel Code which focuses on Pressure Vessels. It applies to the materials and fabrication methods such as welding, forging, and brazing and covers specialised areas including design, fabrication, inspection, and testing methods. BS EN 1090 for structural steel is a requirement for products to be sold in Europe, and any organizations who design and/or manufacture steel components must adhere to this standard. Whether in the form of steel frames or metal roofing, any structural engineers, component manufacturers, and anyone with a hand in the steel or aluminium based components that go into metal buildings/building work, should be aware of this. The term ‘pressure vessel’ as used in this specification includes branches up to the point of connection to the connecting piping by bolting, screwing or welding, and supports, brackets or other attachments directly welded to the pressure containing shell. The term ‘unfired’ excludes vessels that are subject to direct generated heat or flame impingement from a fired process. It does not exclude vessels subject to electrical heating or heated process streams. The Pressure Equipment Directive (PED) was designed with the intention to allow member states of the European Union to share the same laws pertaining to the design, manufacture, testing and conformity of pressure equipment and the assembly of pressure equipment. It covers the technical coverage for machinery, electrical equipment, medical devices, simple pressure vessels, gas appliances, etc. Avetta connects the world’s leading organizations with qualified suppliers, contractors and vendors.